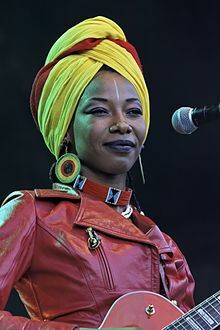 Compared with Angelique Kidjo, Fatoumata Diawara from Mali was performing this week in Mumbai and is today’s Music Musings feature! Now living in Paris, Fatou’s singing, guitar, dancing and theatricality was mesmerizing. Her sound clearly reflects her Wassaoulou tradition in a folk pop way that deftly weaves a bit of funk, jazz and rock for good measure. It’s been some time since we’ve seen such a brilliant performer – not just musically talented but also puts on a show. Warms up the audience, charms, beguiles, engages, captivating one and all completely. A born story-teller, she spoke of war, women’s rights, and embracing the world traveling by choice or forced by circumstance. One of the most entertaining numbers was when she decided to teach everyone the different dance styles of Africa and proceeded to go region and country by country demonstrating each with such joy and abandon! 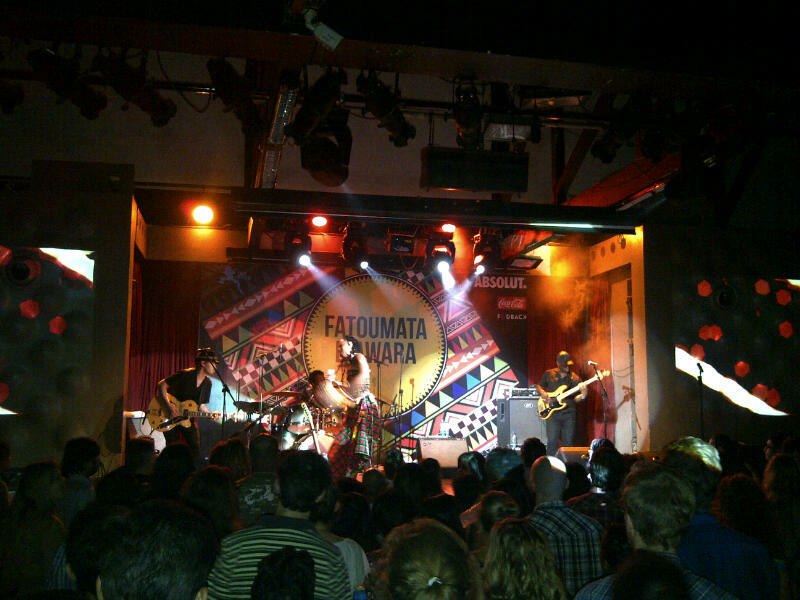 Now Fatou was WELL worth seeing. Pssst! Folks in Canada, she’s coming there early 2014 so don’t miss! By Carissa Hickling in Music on December 1, 2013 .